English: "DESTROY THIS MAD BRUTE - Enlist U.S. Army" is the caption of this World War I propaganda poster for enlistment in the US Army. 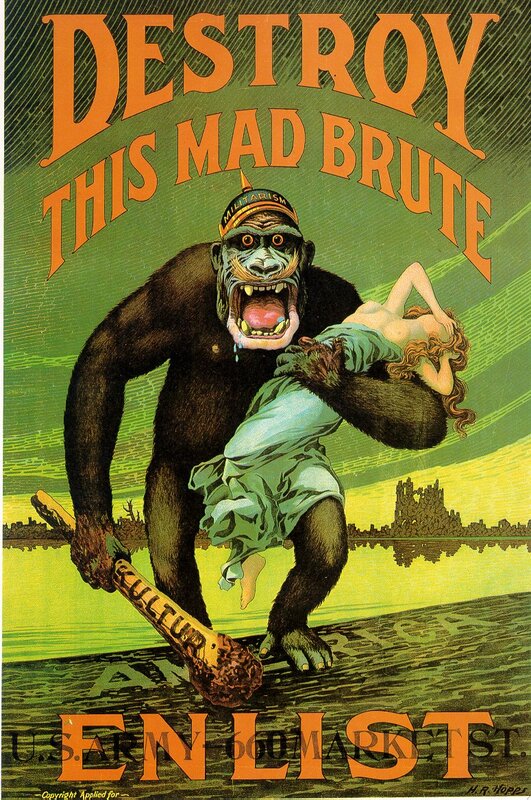 A drooling, mustachioed ape wielding a club bearing the German word "kultur" and wearing a pickelhaube helmet with the word "militarism" is walking onto the shore of America while holding a half-naked woman in his grasp (possibly meant to depict Liberty). This is a US version of an earlier British poster with the same image. Dated ca 1917.